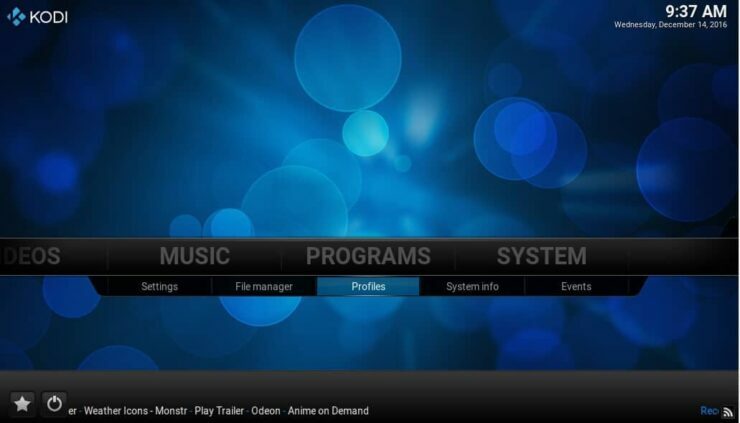 Home Home Media Guide: How to Configure Kodi Multiple user Profiles? With both the popularity of Kodi media center and it's user friendly interface the number of people using it in each household is growing. Many media centers now contain movie and audio collections for many people. If you share your media center with your partner or children it is often difficult to navigate through your own collections and you are bombarded with media files of which you have no interest. Kodi multiple user profiles is a perfect solution to this. Like with many operating systems Kodi multi user allows you to setup a user profile and media area for each individual where they can see their content only. It also give you the ability to lock down each profile so that you can control the content your children have access to. 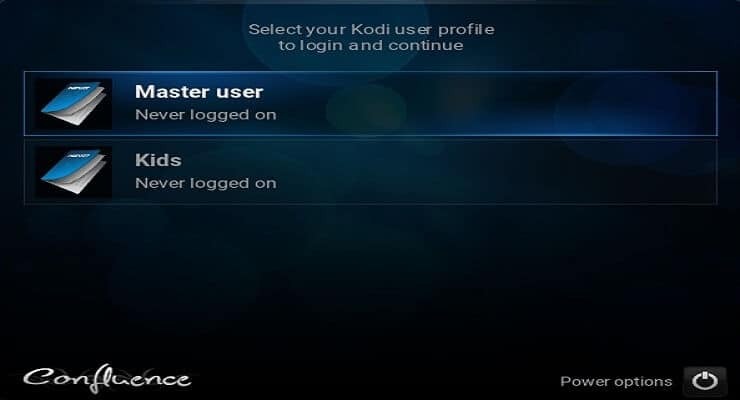 In this guide we will show you how to setup Kodi multiple user profiles. How do Kodi Multiple User Profiles Work? By default Kodi users a profile called Master User because the majority of media center users only need a single profile. There is no login required for this account and Kodi will login to this automatically on startup. For multi user setup on Kodi we need to 1) enable logons and 2) define our users. Kodi also has a default folder location in which is stores user profiles. This guide is divided into two steps to explain each set of Kodi multi user options. Please make sure that you backup your Kodi folder prior to implementing this Kodi Multiple User Profiles guide. On Linux, you may setup automatic Kodi backup using this guide. To begin navigate to Programs and select Profiles as shown in the image below. When you enter the Profile Settings menu shown in the image below the first configuration option available to you control logins. For Kodi multi user check the Login screen radio button. This will force Kodi to prompt with a login screen when it is first launched. If you leave this option disabled you must set an auto login profile. With Login screen unchecked Kodi will boot into your set auto login profile and you must then logout to select a different account. For our multi user setup on Kodi we want to be prompted with a login screen. 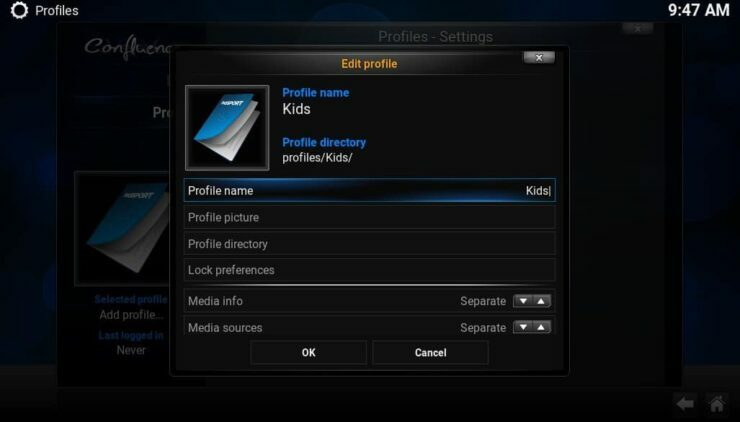 Next, multi user setup on Kodi requires you to create profiles for each media center user. Select Profiles in the left pane as shown in the image below and you will see a list of profiles currently available on your system. If you have never setup any user profiles before you will be signed in as Master user. Click on Add Profile. Now you must define the settings to apply to your new profile. The image below shows what is available to us. In this guide we will leave these settings default but there are a few that are worth a mention. The Profile Picture option allows you to add an account thumbnail. The Lock preferences option allows you to password protect each account. Once complete click OK and your new account will be created. When you click OK you will be prompted with two popup box options. The first is Start with fresh settings or copy from default? We will select fresh settings because we want to create a completely new user profile. The second is Start with fresh media sources or copy from default? Choose fresh media sources because for our multi user setup on Kodi we do not want to copy the sources from the Master default profile. Once your account is created you have now enabled Kodi multi user. Follow the same process to add any further accounts you may require. Restart Kodi and you must now choose a profile to login with. 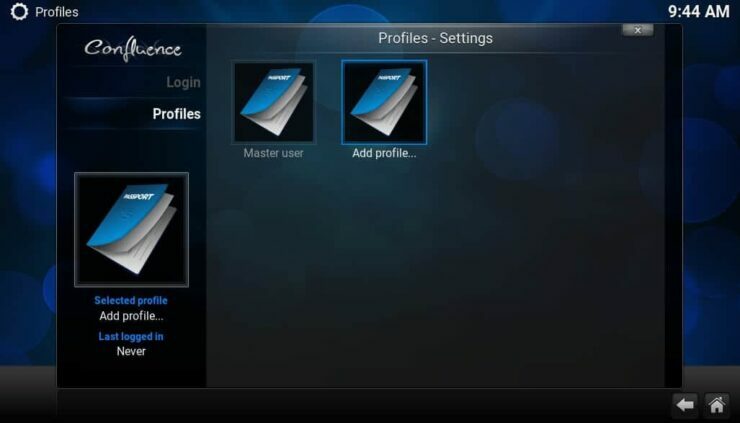 The image below shows the Kodi multi user login screen with the default Master user and our new Kids profile. If we login to our multi user setup on Kodi with our new profile it will appear as if it were a completely fresh install of the application. There will be no movie or music sources defined and it will use the default Confluence skin. You can now select one of the best Kodi skins for this profile. All settings that are configured for the Master user profile or any other account will not be applied. Guide: How to install Recalbox on Raspberry Pi for Kodi with Gaming?